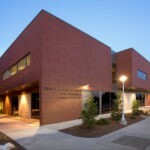 A unique design element for this project was a sky bridge that connects the new addition with the existing building, integrating the two spaces and protecting students and faculty from the elements. 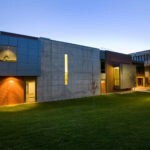 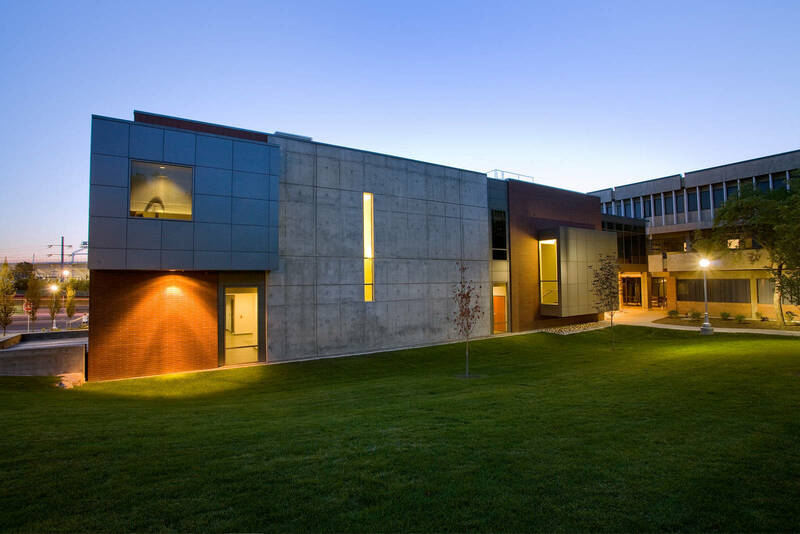 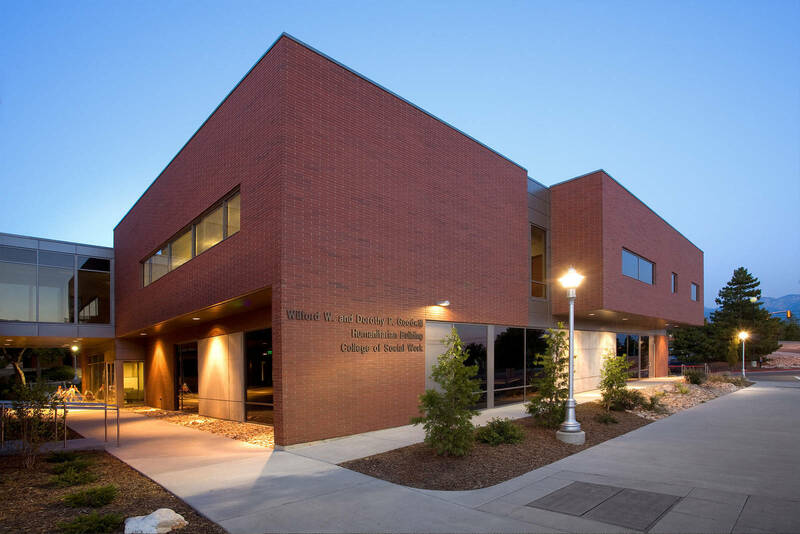 The University of Utah College of Social Work educates future professionals in all areas of social work, and the program was outgrowing its existing space. 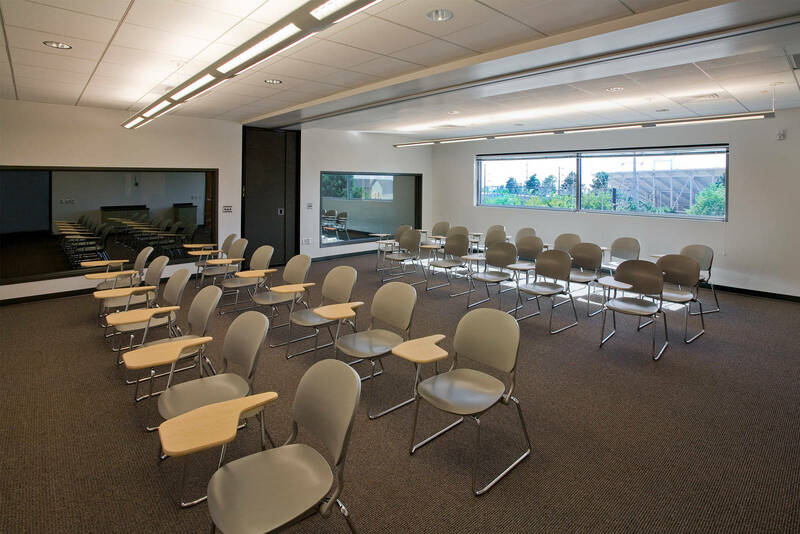 Thanks to funding from the Reaching Out, Enriching Minds, Changing Lives Capital Campaign, the University was able to bring in Big-D to construct the new Wilford W. and Dorothy P. Goodwill Humanitarian Building. 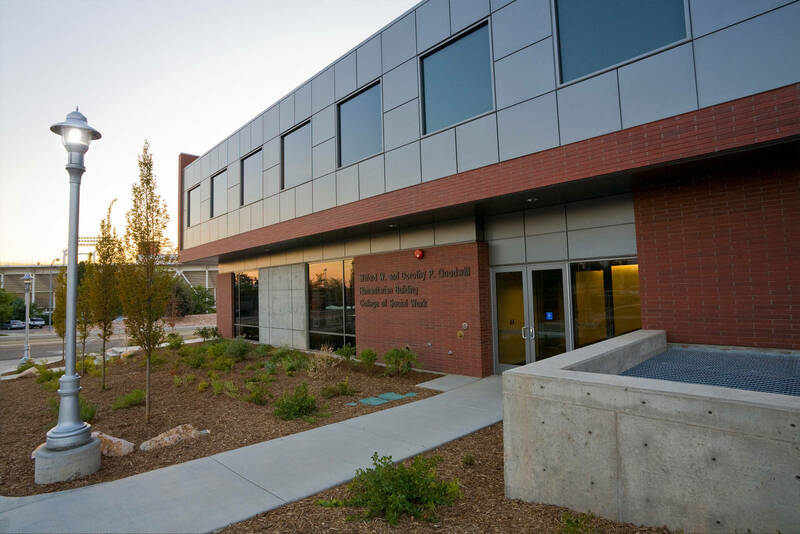 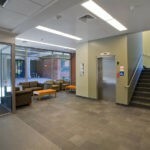 This 16,615-square foot multi-functional building is the new home of the college’s Initiatives on Aging and Neighbors Helping Neighbors program. 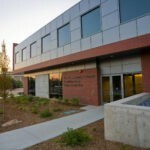 The two-level building also houses wireless classrooms, four family observation rooms, staff offices, a reception area, and a boardroom. 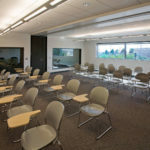 A cleverly designed public meeting room on the main level boasts a sound-insulated, panelized dividing door and separate audio visual systems for both sides of the room, which allows for one large function or two separate functions to take place at the same time. 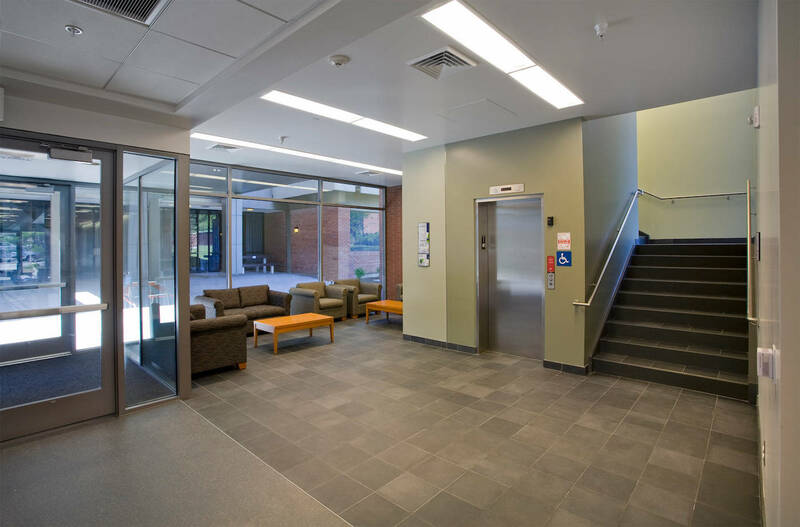 Another unique design element for this project was a sky bridge that connects the new addition with the existing building, integrating the two spaces and protecting students and faculty from the elements.